Editor’s Note: At Tableau, we feel that data skills are essential for the next generation of workers and business leaders. Tableau’s Academic Program seeks to arm students with the valuable analytical skills needed to help them discover insights and make data-driven decisions in everything they do academically and professionally. Our Generation Data blog series highlights interviews with students and recent graduates who use Tableau. 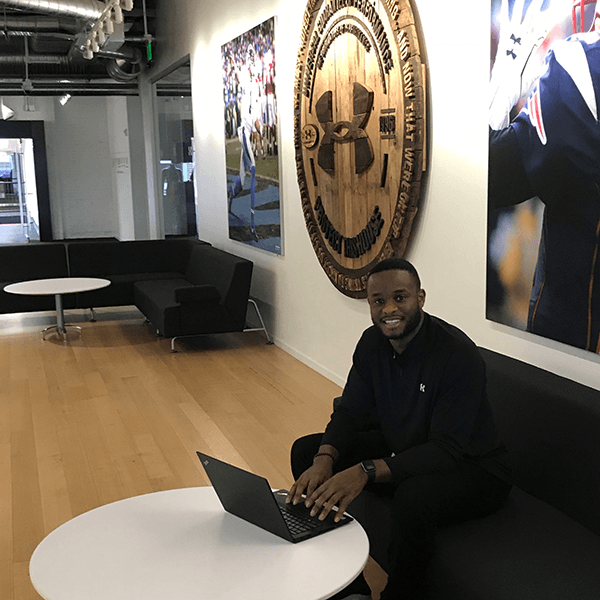 This week, we sat down with Buchi Okofar, a recent graduate of Miami University, to discuss how he used Tableau in his internship at Under Armour. When did you first learn about Tableau? While I majored in Finance, I also pursued a Business Analytics minor. It was in my entry level information systems class. I attended business school for my undergrad and first heard about Tableau during my sophomore year of college. Instantly I thought this product was interesting because you could slice and dice the data extremely fast. I got to really learn Tableau during my Financial Planning Analyst internship at Under Armour. How did you use Tableau in your internship at Under Armour? During my internship with Under Armour I relied heavily on Tableau in order to complete my final project. I compiled over 300,000 rows of multiple excel sheet data into one Tableau dashboard that allowed upper management to interactively see how different project teams were tracking margin. I presented my findings using Tableau with the CFO and other top management. My manager and I were a few of the only team members in Finance who knew how to use Tableau and I think this helped me land my full-time role. After graduation, I returned to Under Armour and am currently a Financial Analyst for the Sports Category. Do you have any advice for students interested in learning Tableau? It’s not just Data Analysts or Analytics teams that use Tableau. Even though I was working in Finance, this was a main product I used for the summer. I also had to do a lot of self learning since not a ton of people on my team knew Tableau. There’s an abundance of online resources that will teach you how to create basic views to very complex views depending on your comfort level. If you get stuck, check out the Community or Tableau Online Help Guide. Either way, being proficient in Tableau will give you a competitive edge to your fellow peers and will give you another tool that makes you more marketable when searching for internships or full time employment. Start your own data journey with a free student license. Are you a student who has found success with Tableau? Let us know by completing this short survey.